Alright, Alright, Alright… We all know that the University of Texas at Austin is not just a national treasure with a worldly presence. The University’s slogan, “What starts here changes the world,” is no joke. Just go anywhere – London, Tokyo, Cape Town, Minsk – and you’ll find a Longhorn. Members of the Texas Exes – UT’s alumni group (not the George Strait Song) – are doing BIG things across the globe. Think you don’t know a famous Longhorn? Check out these names: Farrah Fawcett, Janis Joplin, Neil Tyson, Vince Young… If nothing sounds familiar, take a look below at our extremely limited list of Texas alumni to see just how vast the UT network truly is. Ranked the 39th richest man by Forbes, Michael Dell’s legacy stands tall and proud on the Forty Acres. His philanthropy with the Michael and Susan Dell Foundation funds the Computer Science building on campus as well as provides $50 million in student research grants to numerous organizations associated with the University of Texas. ExxonMobil royalty and former Secretary of State, Rex Tillerson is not your average UT alum. His overseeing of Exxon’s $400 billion revenue makes him one of the most successful UT engineering alums. Rex rose through the ranks of Exxon after starting out as a production engineer straight out of college. These first ladies led the way when it comes to education and women’s rights. 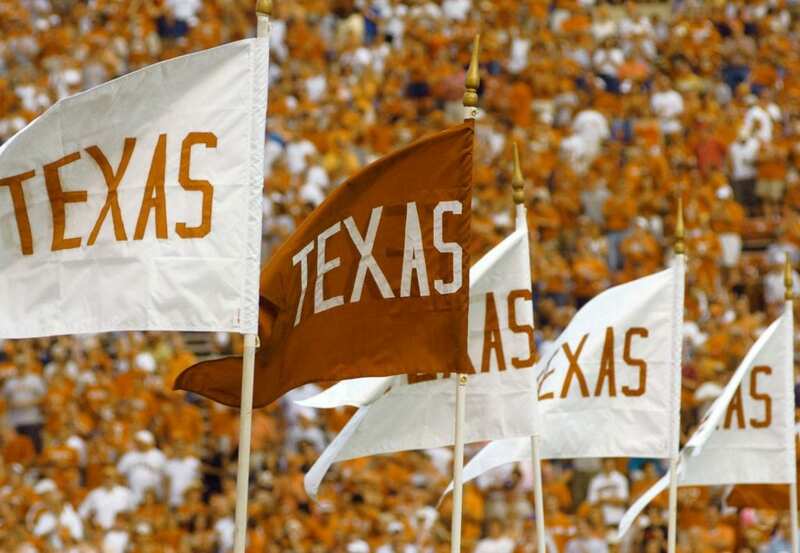 Not only does the University of Texas benefit from their legacy, but so does Texas. The Laura Bush Library is right off Bee Cave, while the Lady Bird Wildflower Center resides in the heart of Austin. Best known for the Beautification Act of 1965, Lady Bird is responsible for the millions of wildflowers that bloom along Texas highways each spring. Joseph Schooling is a current student at UT and proudly wears the only gold medal in swimming for Singapore. Although Schooling has this spot on our list, over 100 University of Texas Athletes have obtained Olympic Athlete status, with 25 Olympic Athletes who competed in the Rio Summer Olympics in 2016. If those numbers don’t amaze you, UT’s Football program has produced over 300 NFL/AFL players. If that doesn’t impress you, then what will…? Despite his one-and-done year at the Forty Acres, KD comes back to UT basketball every year to treat the team with coaching expertise and his own line of Nike athletic gear. Saying that Durant is doing well is an understatement as he is one of the highest-earning basketball players in the world. He isn’t just an all-star on the court… He’s also a successful business man, investor, and philanthropist. A Texas Accounting Alumni, Kelly helped Southwest Airlines become the nation’s top airline. Not only is Southwest booming, but it also boasts a spot on Fortune magazine’s list for most admired companies in the world. At the University of Texas, Gary Kelly was just like you: a hard working business student aiming to get his CPA certification. Although Kelly is a top business mogul today, Kelly continues to aid the University of Texas at Austin by serving on the McCombs School Advisory Council. For an extended list of the Texas Exes, click here.